Raj is a red fawn male who is not tattooed. He is estimated to be between 6 and 7 years of age. 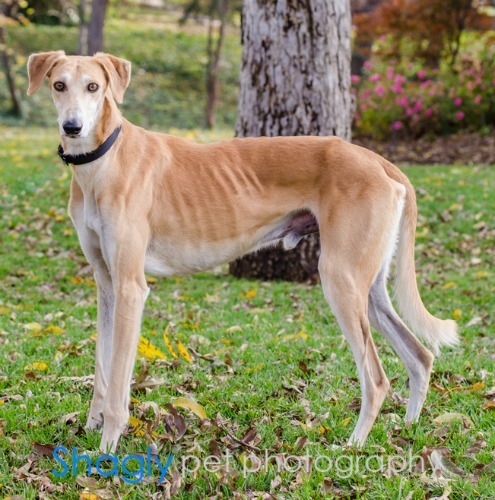 He was found as a stray in Waco and from there joined the GALT family. 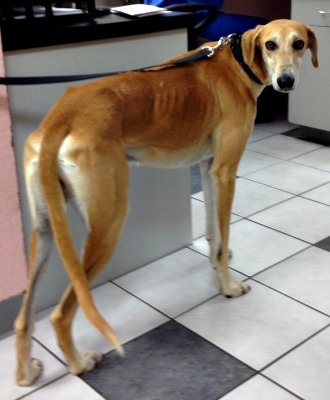 When Raj arrived to GALT he had a swollen left front wrist. 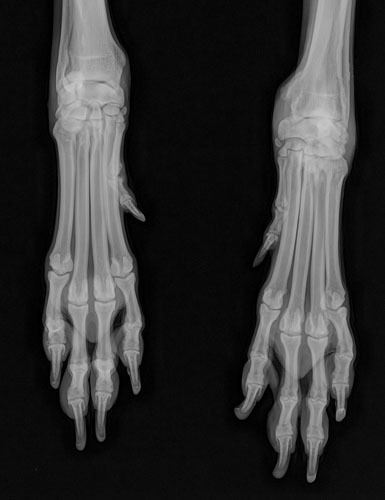 X-Rays were taken by Dr. Jeff Ellis which confirmed this to be a chronic old injury. A referral was made to Dr. Bob Radasch of Dallas Veterinary Surgery Center who confirmed the diagnosis. Both doctors agree that surgery is not an option for Raj. Raj does not seems to be in active pain from the wrist. He is obviously NOT a candidate for an owner looking for a jogging companion. 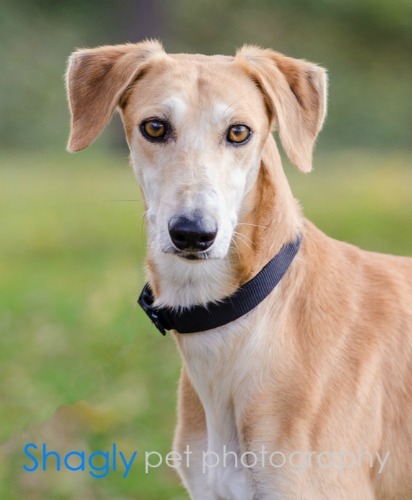 Raj has passed an initial cat test and is living with cats in his foster home.